There will be a fair dedicated to police equipment next week in Germany. As always, several car manufacturers will attend, showing their products, with one big novelty this year: an electric car. At Volkswagen’s. The e-Golf. 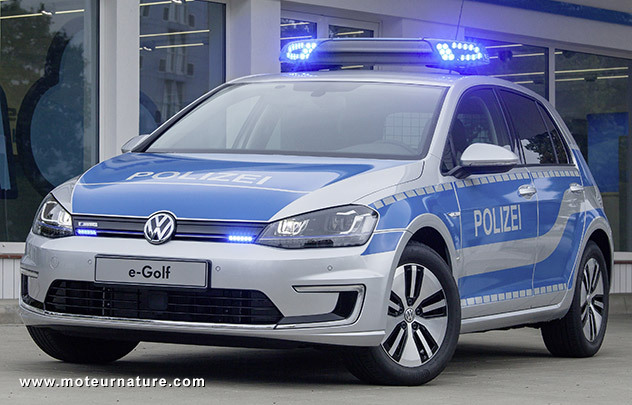 There is no information to tell that some German police service has asked for electric vehicles, so we guess Volkswagen has anticipated demand. 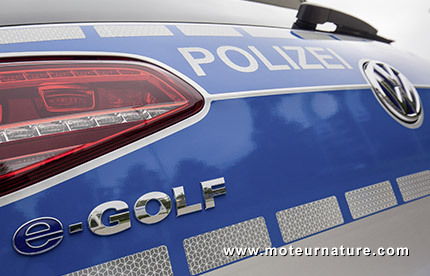 Paint, radio, lights and so on, this Volkswagen e-Golf has all the specifications the police cars require, and more than that, it’s a zero emission car. Any police officer interested?